When BBM was offered to iOS and Android users, it did not feature BBM Video. It was the one feature that users of both platforms were really asking for. Each update that came without the feature was deflating for them. 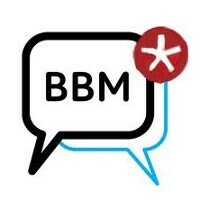 But today, we have some great news for those who are using BBM on their Android phone. BBM Video is here. BBM Video is now up and running as a beta feature on the Android version of the BBM app. Those on iOS will receive BBM Video shortly. With BlackBerry slowly rolling out BBM Video, it will be available first in the U.S. and Canada before a global launch in July. This is being done so that BlackBerry can gather feedback and technical data to make sure that the feature is working as it should. BBM Video is available for Android users running Android 4.4 or higher, and will be offered to those using a device running iOS 8 or higher. BBM Video supports cross-platform video calls and users won't have to sign up to use it. When you initiate a call on the messaging app, you will be asked if you want to make a voice call, or try a beta video call to your contact (who also has to be able to have BBM Video as well). This is the most exciting news that has hit BBM since it became a multiple-platform app. According to Pew Research, 47% of adults using a smartphone are making video calls on their handset compared with 33% the previous year. And that number will certainly rise, especially with the launch of BBM Video for Android and iOS users. Nice! An awesome, cross-platform feature. Wish iMessage was capable of this, but I just don't see Apple doing that, much less even making it cross-platform.